The second day of Tube: expectations of the fair remain high. Tuesday is always a day full of visits: the easy prediction after the good feelings of Monday has been widely confirmed. 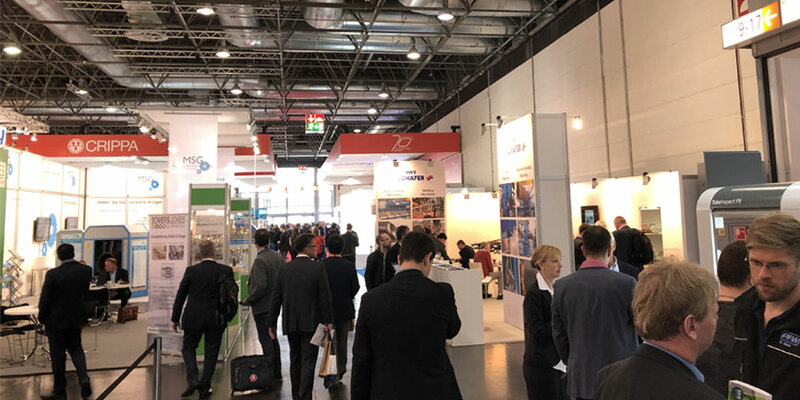 Among the stands there is an air of contentment, in general entrepreneurs are satisfied, not only, or not so, the number of contacts, but above all quality: interested visitors, available to finalize the transactions have made the first two days very interesting fair. We are not yet at the levels of 2006-2008, but the Tube is confirmed as a real driving force of interaction and opportunities for the entire sector. The record of 1246 exhibitors represents the confirmation of the ever-increasing attraction of Tube on insiders. If the atmosphere at the show is hot, the one outside the fair is not less: the 23 degrees Celsius on Tuesday represented a warm welcome for exhibitors and visitors, coming from the partial examination of our stand in the pavilion 5, truly from the four corners of the world. Many visitors came from India and the Far East, as well as those from the two Americas. Also in Hall 5, Crippa’s stand was the center of attention: for the 70th birthday, the Italian company decided to amaze all of Duesseldorf with a new stand that was decidedly superior to the usual one. A choice of great importance for a great value recurrence. Keep in touch, get more updates from Tube2018.